MOLICHINO: MOLiCHiNO For Fashionably Late! MOLiCHiNO is a guest designer this week at fashionably late! With this event, we introduce the Maddy Skirt! The perfect, stylish knee length winter skirt for any occasion! Currently only available as part of the fashionably late event! 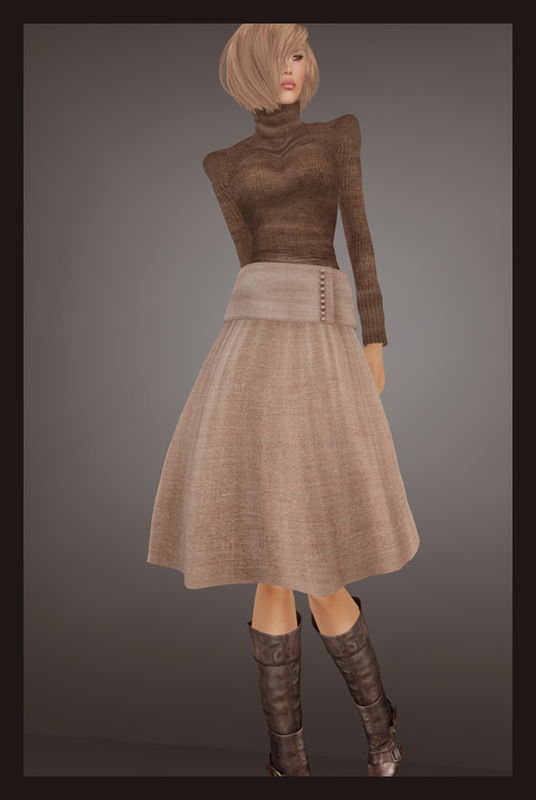 It is a fully sculpted skirt, includes glitch pants, alpha layer, a standard copy/modify skirt and a version of the skirt with a re-size script in it.